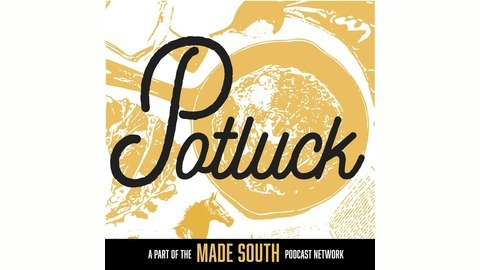 Lifelong southerners Chris and Will talk about happenings and culture in the American South. 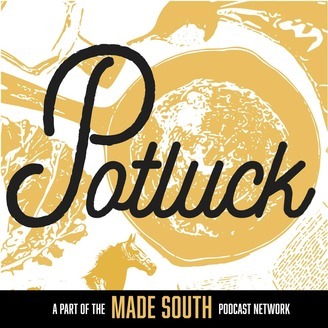 On this very special episode of Potluck, Will and Chris talk about the mysterious bowls of mashed potatoes which appeared around Jackson, MS last week. Then, they land an interview with the individual some have called the Mashed Potato Maniac... and are left with more questions than answers. Eli Mason - Premium cocktail mixers and syrups made with all-natural ingredients in Nashville, TN. The Mint Julep Mix is back for a limited time, so stock up for your Derby party! Save 20% on 3-packs with the code potluck, and if you order $50 or more they’ll send you a FREE stainless steel cocktail jigger with your order. EliMason.com or follow them on Instagram at @EliMasonSyrups. Mountain Valley Spring Water - Hot Springs, AR. Delicious spring water straight from the source in the Ouachita Mountains in Arkansas. Beautiful green bottles. Still, sparkling, blackberry pomegranate or lime. Available in fine grocery stores or online at MountainValleySpring.com. Follow them on Instagram @MountainValleyWater. Tree House Macarons - Augusta, GA. Early Spring collection available online NOW at TreeHouseMacarons.com. Flavors include classics like Creme Brûlée, Chocolate, and Lemon Blueberry, along with seasonal flavors like Key Lime, Cookies & Cream, Blackberry Mojito, Peaches & Cream, and more. Order now before they sell out. Use code potluckto save 25%. And contact them directly if you’d like to custom order macarons for an event, a wedding, or if you’d like to carry them in your retail store. TreeHouseMacarons.com or follow them online at @treehousemacarons. The Great Slider Showdown - Coming up on Saturday, June 1 in Franklin, Tennessee. 10 chefs paired with 10 farms, 10 creative sliders, celebrity judges will select one winner for the grand prize of $3k cash and a Goldens’ Cast Iron Grill. Get your tickets at GreatSliderShowdown.com.